Visitors won’t want to miss the opportunity to explore Botany Bay, a hidden gem on the Isle of Thanet. The Blue Flag quality beach, offering more than 200 metres of golden sands, stunning cliffs and rock pools, has been made famous by a whole host of TV and film productions. 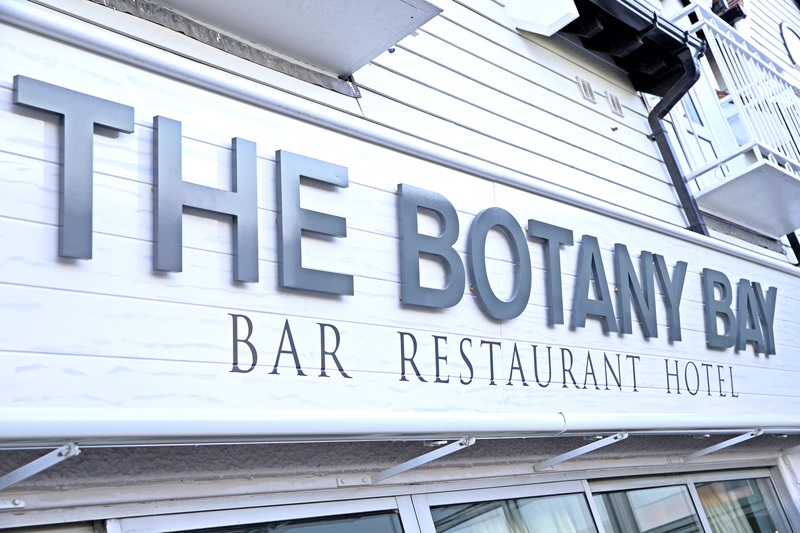 And it is just a minute’s stroll away from the entrance to the Botany Bay Hotel. The hotel is also ideal for a golfing break in Kent as it sits next to the famous North Foreland Golf Club, and is within a few miles of the Open Championship links courses of Prince’s Golf Club and The Royal St. George’s in Sandwich. If you’re not a fan of golf, you might prefer to explore the unique heritage of nearby Broadstairs. Stroll around the seaside town’s cobbled streets to discover visitor attractions including Bleak House, once the summer home of Victorian author Charles Dickens; the Dickens House Museum; and the Crampton Tower Museum, offering an insight into the waterworks and railways of Victorian engineers. Broadstairs boasts a wealth of independent shops, or for some serious retail therapy head to Westwood Cross, on the outskirts of the town. The shopping centre has more than 50 stores, cafes and restaurants, and customers can enjoy free parking. Also within half an hour drive are the cathedral city of Canterbury or the coastal resort of Whitstable. Art lovers are in for a treat with the Turner Contemporary gallery just three miles away in Margate. And in addition to the year-round attractions, there is always something going on in Broadstairs, from the week-long Dickens Festival each June, to Broadstairs Folk Week in mid-August and the three-day Broadstairs Food Festival in October. Step back in time and visit Charles Dickens' own Bleak House, which was the author’s favourite holiday home for over twenty years. Interact with the very place where Dickens wrote several of his novels, from his study overlooking the English Channel. The cellars of Bleak House are also home to The Smuggling Museum, which showcases Thanet coast's colourful history. Discover exhibits rescued from an eighteenth century shipwreck, sure to inspire minds of all ages. Broadstairs has a delightful range of independent shops in the traditional High Street, but for something a little bit more modern Westwood Cross shopping centre is only a 10 min drive or perhaps an excursion into historic Canterbury would be more to your liking. Situated on Margate’s seafront, on the same site where Turner stayed when visiting the town, the gallery is the largest exhibition space in the South East, outside of London. Inspired by Turner’s sense of enquiry, the gallery offers a space for everyone to embrace their curiosity and to discover different ways of seeing, thinking and learning. A stimulating programme of temporary exhibitions, events and learning opportunities are held throughout the year. The gallery is surrounded by a whole host of bars and cafés. Whether you are an experienced cyclist or a novice, you will find plenty to enjoy along the 27-mile (43.5km) route on the Isle of Thanet, the location of the first Viking landing in 449AD. The inland loop is on quiet lanes, taking in pretty Kentish villages with ancient churches such as St. Nicholas at Wade and passing Minster Abbey, one of England's oldest inhabited buildings founded in 670AD. A short detour leads you to the 16-acre Monkton Nature Reserve, an important resource for the protection of wild flowers, including rare orchids.